Getting into the right college can be an ordeal in itself, and then there’s the financing of living as a student to consider. Books, travel, rent and the occasional beer can all add up and savings don’t always stretch far enough. In the private loan sector, there are the big banks, there are credit unions, and there are the non-profits. EDvestinU, a New Hampshire higher education lender, falls into the latter camp with a competitive, low-cost variable rate loans available to students both in and out of state, plus provision for qualifying international students in the US. However, students applying for a loan with EDvestinU will need to look for food money elsewhere as this non-profit will only fund course fees. This is not ideal, considering the non-tuition college costs that you’ll be faced with, but the lower rates may be worth this disadvantage. See how EDvestinU stacks up against our Best Student Loan Refinancing Lenders. EDvestinU is also on the Credible Platform. You can quickly compare lenders in 2 minutes or less with Credible. As a bonus, College Investor readers can get up to a $1,000 bonus if they refinance on Credible. The best rates are reserved for New Hampshire residents studying either in or out of state, and any US students choosing to study at an institution in New Hampshire. National loans are available to any US students who don’t fall into either of those categories while international loans can be applied for by any international student with a creditworthy cosigner who is either a US citizen or a permanent resident. The minimum amount available to borrow is $1,000 per year, with the maximum loan amount being determined by the institution of study as students are eligible to borrow up the maximum attendance costs, less any financial aid offered. There is also an aggregate maximum of $200,000. Remember, when it comes to rates, always compare - we love Credible because you can compare multiple lenders in seconds, for free. Plus, College Investor readers get up to a $1,000 bonus when they refinance with Credible. EDvestinU also offers a 0.5% APR reduction for borrowers who opt to pay by autopay. The organization also has a range of fixed or variable interest rates and APRs, starting from just 4.25% APR for a variable rate loan with repayments for students or parents who want to start paying off the loans immediately. These rates are current as of November 2018. Rates and terms are subject to change - please see the EDvestinU website for the most recent rates and terms. For students or parents who wish to pay toward the loan, but can’t afford to start with the principal amount, an interest-only payment schedule is available as a bridge between the immediate and deferred payment options. Interest-only and deferred plans come with incrementally higher interest rates and borrowers will end up paying more interest over the life of the loan. EDvestinU offers penalty-free repayments, meaning students have the flexibility to pay off loans sooner – at no additional cost. If you are struggling to make monthly payment and you are considering a consolidation loan, the non-profit offers student consolidation loans with terms of either 15 or 20 years, which are also penalty-free for early repayments, and are available at fixed or variable rates. Choosing a loan from EDvestinU comes with warm fuzzy feelings at no extra cost as proceeds from their loan programs support monthly scholarships and college access activities in all of New Hampshire’s public high schools. Parents will likely also appreciate the option to be released from their cosigning duties following 36 months of consecutive and on-time repayments. Loans from a non-profit interested in stakeholders, not shareholders, may benefit any students looking for lower rates as the rates are competitive across the board. No application or origination fees are another nice touch. The downside: Approval rate for loans is low, with stringent requirements and guidelines. Remember, compare all of your student loan refinancing options with Credible. You can compare up to 8 different lenders in minutes. Don't forget that College Investor readers get up to a $1,000 bonus when they refinance with Credible. 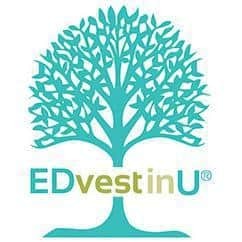 EDvestinU, a New Hampshire higher education lender, falls into the latter camp with a competitive, low-cost variable rate loans available to students both in and out of state, plus provision for qualifying international students in the US.